Yersinia enterocolitica (1,295 strains) was isolated from diarrhea patients, livestock, poultry, wild animals, insect vectors, food, and the environment. They were studied for epidemiology distribution using bacterial biochemical metabolism tests, their virulence genes, and pulsed-field gel electrophoresis (PFGE) sub-typing. The data showed that 416 of the 1,295 strains were pathogenic, where the pathogenic Chinese isolates were of serotypes O:3 and O:9. These two serotypes were found in livestock and poultry, with swine serving as the major reservoir. The geographic distribution of pathogenic isolates was significantly different, where most of the strains were isolated from the cold northern areas, whereas some serotype O:3 strains were recovered from the warm southern areas. By the analysis of the data of the Ningxia Hui Autonomous Region, we find the phenomenon of ‘concentric circle distribution’ around animal reservoirs and human habitation. 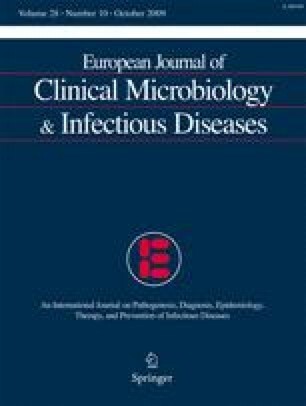 The clustering of PFGE showed that the patterns of the pathogenic strains isolated from diarrhea patients were identical compared to those from the animals in the same area, thus, suggesting that the human infection originated from the animals. Xin Wang, Zhigang Cui, Dong Jin, Liuying Tang, Shengli Xia, and Hua Wang contributed equally to this study. We thank Dr. Jim Nelson for his critical reading of our manuscript.